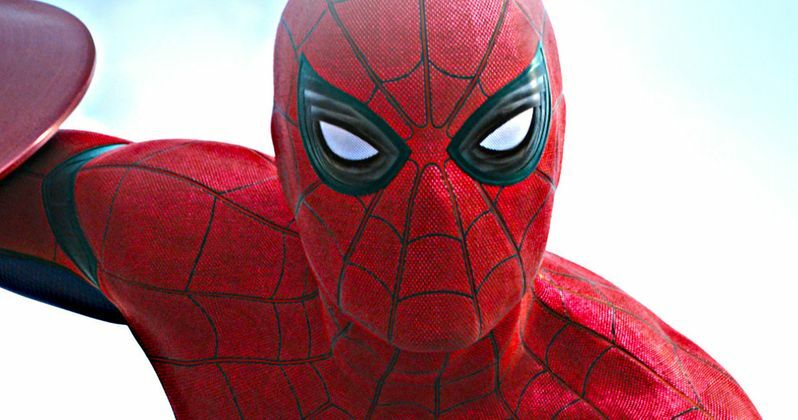 What If Spider-Man Wasn't in Captain America: Civil War? Spider-Man was a big get for Marvel Studios. Disney and Marvel had wanted to use the character in one of their movies for the past few years, but it seemed less and less likely that would ever happen, as Sony was setting up a massive shared universe for Peter Parker and friends. As luck would have it, at least where Marvel and Disney were concerned, The Amazing Spider-Man 2 turned out to be a flop. And did not perform as well as Sony had hoped. This put the breaks on several tie-ins, crossovers and spinoffs including an All-Female Spider-Man movie, The Sinister Six, Venom and a stand alone adventure for Aunt May. Sony's misfortune became Marvel's win, as the two studios managed to work out a deal that would see them collaborating on not only a 2017 standalone Spider-Man reboot, but also several MCU movies where Peter Parker could appear. The first of which was last weekend's Captain America: Civil War. The movie was the first to introduce Tom Holland as the new Peter Parker, and while he doesn't clock much screen time, he's an important part of the story. So, what would have happened had Marvel and Disney not been able to get Peter Parker? The answer is somewhat easy. They would have brought in a different character. Though we're not sure who that would have been. The movie also introduced audiences to Black Panther for the first time, and brings back Ant-Man. Even with a different character, it's hard to imagine that the movie would have been as good. Holland steals the show, giving us a Parker that is closer to the one in the comics than we've ever seen. But as the script was originally set up, it was written so that Parker could have easily been written out of the narrative. Speaking with Creative Screenwriting, writers Christopher Markus and Stephen McFeely spoke about the challenge facing them in terms of Spider-Man's introduction and how they continually had to work around it. "We had him in, and sometimes a month or two later Kevin would come back and say, 'No, negotiations are not going quite as well. Don't plan on him!' I don't know the exact date when corporate signed contracts with Sony, but it eventually led to some hard and fast choices later on. In that regard, it was very good that he was in a section where the script would've called for somebody there, but there wasn't necessarily a tremendous amount of quantum mechanics riding on that it had to be Spider-Man. So if we finally didn't get him, the whole house of cards wouldn't fall down. It would just mean we would have to come up with a different character to play that function." Peter Parker's place in the Civil War story is more about his relationship with Tony Stark than it is about the ultimate brawl between Team Captain America and Team Iron Man. Their budding friendship gives Tony an arc that we probably wouldn't have gotten with any other character, and it's likely this aspect of the story would have been reworked in a completely different way. As it stands now, Robert Downey Jr. will appear opposite Tom Holland in Spider-Man: Homecoming, in theaters next summer. And their friendship will continue to be expounded upon. The relationship is two-fold. In Civil War, Spider-Man gets his new costume and webbing from Stark Industries. Without this set up, we might have been faced with another origin story in the upcoming Sony reboot. So as you can see, the deal really does swing both ways in improving and helping to further build out these iconic superheroes. As it stands now, Spider-Man clocks about thirty minutes of screen time in Marvel's Civil War. 10 minutes of that is spent by Parker out of the costume. We do get one scene where Peter is greeted by Tony at his house. But the rest of Spidey's screen time comes during the big airport fight scene that has people returning to theaters for repeated viewings in its second week. Marvel gets a lot of milage out of Spider-Man in this iconic battle, which is probably the best ever seen in any superhero movie to date. It definitely would have played differently without the web-crawler. And as he has some of the best moments in this brawl, whoever replaced him would have had to be someone pretty special. Many believe Daredvil would have been asked to step in. While that character is cool, he wouldn't have brought the same type of firepower. But that's for other comic book aficionados to pour over and discuss.